The Mighty MPAs smile for a photo with Steve Smith, Senior Director of the MPA program. 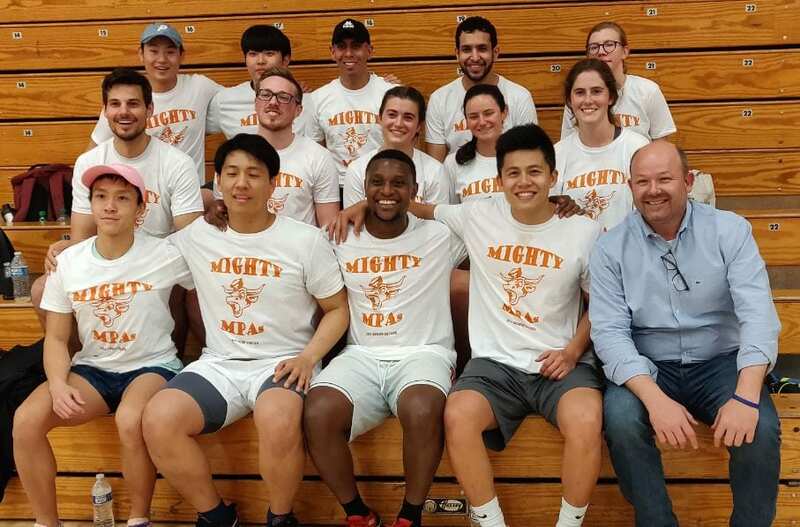 The Mighty MPAs played their first game last Thursday and won 2-1 (but they said it should have been 3-1)! Games are played at 8:30 p.m. Thursday evenings at the Recreational Sports Center (RSC). If you are free the next two Thursdays at 8:30 p.m. (April 11 and 18), come on over to the RSC and cheer them on! The goal is to make it to the playoffs and win their league to get their name up on the wall in Gregory Gym!